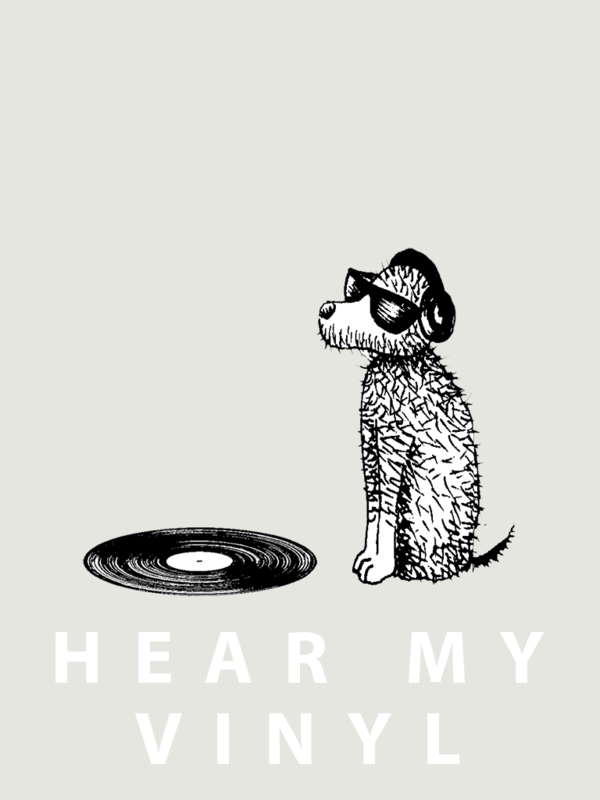 An ealy incarnation of Max as DJ Woof. DJ Woof is Max's alter ego. Taken from the webcomic Schrödinger's Coffee House - The Coffee Cup of Destiny, Max is the co-protagonist along with Schrödinger the cat. 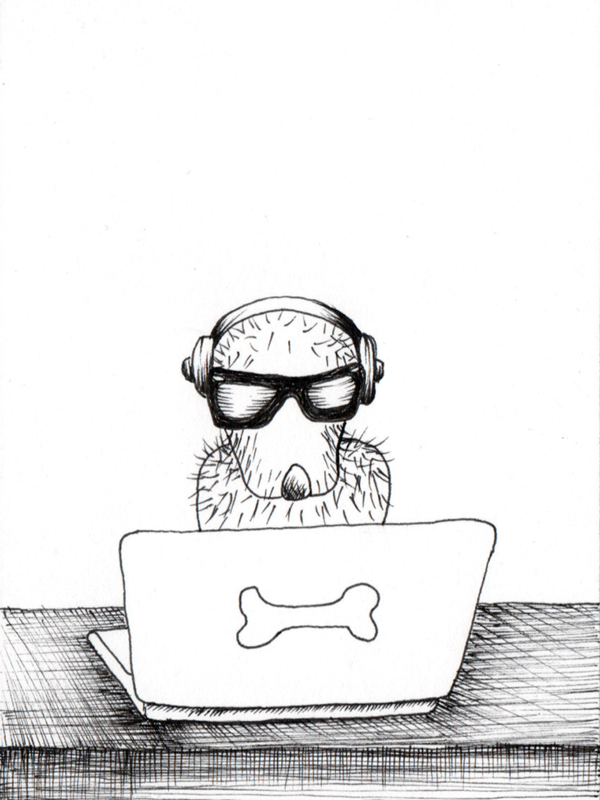 "Music's all laptops these days"
DJ Woof backstage queueing up a set of tunes for the night. 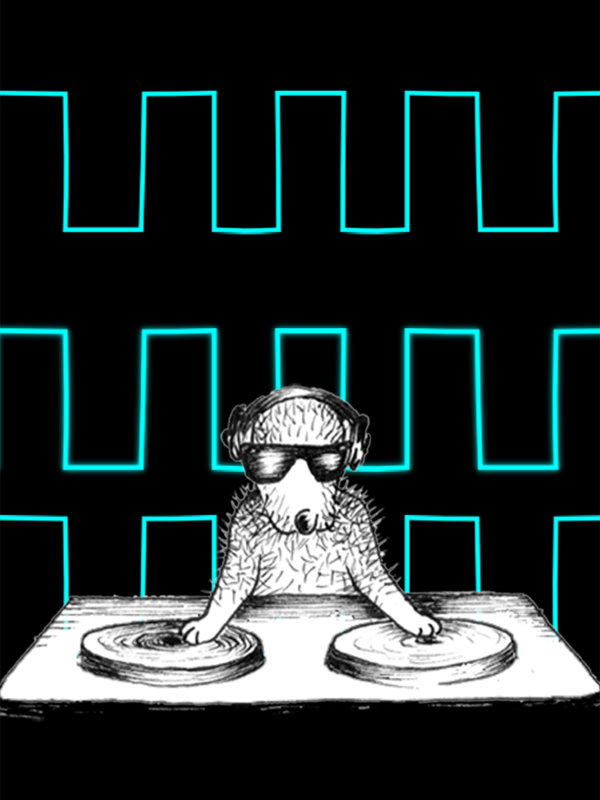 DJ Woof playing the gig of his life.